All new, high quality, high voltage ceramic capacitors for voltage multipliers and other high voltage applications. These capacitors can be operated in open air for up to their full rated voltage. These all new ceramic capacitors have just been introduced to the market at reasonable prices. Excellent for all manner of high voltage applications. This is a "doorknob" capacitor with axial M4x0.7 threaded terminals, made of N4700 ceramic -- a new type of capacitive material developed in recent years, used widely in high-end products. Its dielectric constant is large compared to other Class I ceramics, making it suitable for larger capacitances, resisting higher voltages, and with a dissipation factor less than 0.2%, which is much lower than the average Class II ceramic. 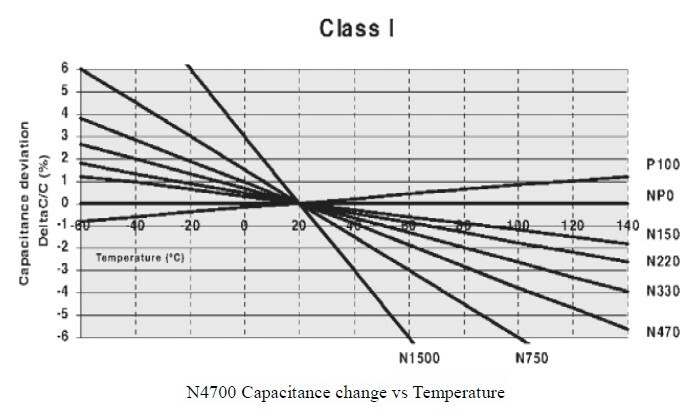 The insulation resistance is over 200,000MΩ, it has better frequency and temperature coefficient characteristics, can withstand more current, has a capacitance temperature variation within ±28% from -25°C to +85°C, and has greater than 10 years of expected lifetime under normal operating conditions. Contact us for any requirements on volume discounts. Click the button below to add the 800pF 120KV Threaded High Voltage Ceramic Doorknob Capacitor (TALL) to your wish list.